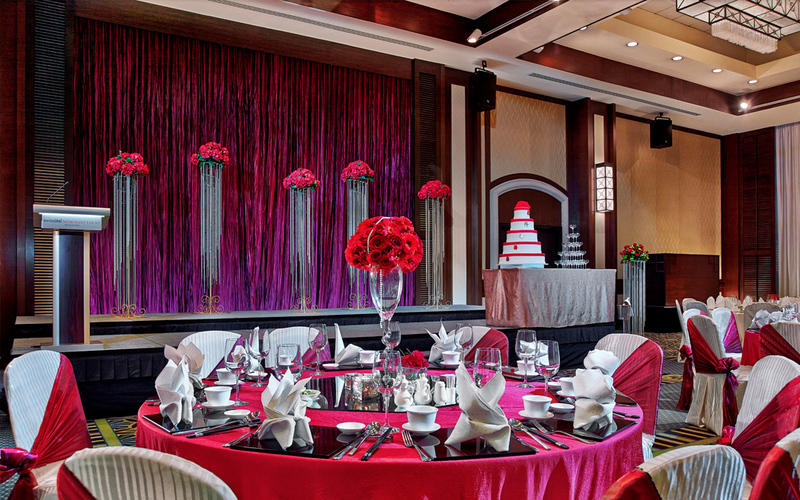 At Swissotel Merchant Court, Singapore, we promise an everlasting memory of your nuptial. Let our dedicated and experienced Catering Sales Team take you through every step in planning your wedding. From the big picture to the finest details, we will make your special day hassle-free. The column-less Merchant Court Ballroom is an ideal wedding setting with its high ceiling and magnificent floor-to-ceiling glass window. Being centrally located in the heart of the bustling city, next to Clarke Quay MRT Station, the Hotel is also easily accessible by your guests. For those who prefer an outdoor solemnisation and reception, the poolside gazebo on level two, which overlooks the picturesque Singapore River, is the venue of choice.